Thinking ahead? Still looking for an internship in London? Head straight to our jobs page! As the UK's biggest city by some distance, London can be a daunting place. Some students love it, while others hate it. Yes, it's busy, expensive and a pain to travel around (when the tube's playing up); but it is possible to survive here. If you're going to be starting a placement year or internship in the city, you'll need somewhere to live. Here's how to find a place that doesn't leave you penniless or strike fear into you every time you open the front door. Where's the company that you're going to be working for located and how are you going to get there? How much is travel going to cost you? How much are you going to be left with once you've paid for your rent and travel? This might not seem like a big deal when you first think about it. After all, as long as it’s near a tube station, you’ll be fine, right? Well, not quite. For example, if you end up living in Crystal Palace but your office is based near Old Street, it will take you at least an hour and ten minutes to get to work, and that’s each way. So you’ve already lost about two and a half hours of your day there – you could fly to Paris and back in that time. What’s more, over the course of one week that’s about 12 and half hours of commuting time. Few people in London are lucky enough to live within walking distance of where they work, so you are likely to become reliant on public transport and spend a fair amount of time travelling around, but there are ways and means of reducing your commute. 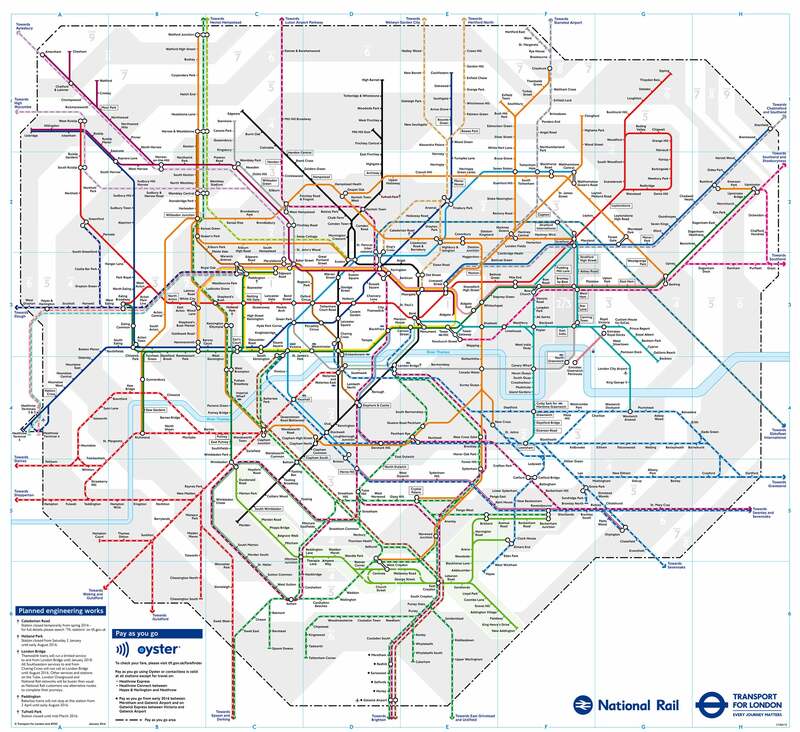 Take a look at a tube map to become familiar with the main routes, and use Transport for London’s (TfL) website to check journey times. There are also a number of apps around that you can download to make life easier, like Citymapper. Know anyone who is moving to London? This is the big one. For many people, rent is now the single biggest expense that they pay towards each month. It’s annoying, but unless you know someone in London (be it a family member or charitable friend) who’s willing to let you stay at their place for free, it’s also inevitable. The question is, how much can you afford to pay? There are some key factors that influence this, namely how much you’re earning in the first place, and where you want to live. As salaries vary greatly between different industries and employers, it’s hard to put a precise figure on how much you should pay towards your rent every month. However, the general ‘rule’ is that you shouldn’t spend more than 50% of your monthly income on renting. If you do, you may find it hard to cope with other major living costs like travel and food (as well as those extra costs that sneak up on you). Once you know what your salary is going to be while you’re on your student placement or business internship, you can use this wage calculator to work out roughly what you should be earning every month and week. For instance, if you’re set to earn £20,000 a year (for the 2018/19 tax year), after all the usual deductions have been made you should be taking home about £1,415 a month. So if you wanted to limit your rental payments to a maximum of 50% of your salary, you’d be able to spend up to £707 on rent. Of course, that doesn’t mean that you have to spend anywhere near that much if you don’t want to – despite all of the London rent horror stories, you can find plenty of places to stay as a student that charge less than that amount. they have rooms available across the capital. Where can you find places to rent in London? There’s something for everyone in London. Regardless of what your tastes are, you’ll be able to find accommodation that suits your needs and lifestyle. It all depends on how independent you want to be and how much you want to spend, as well as how long you’re going to be in the capital. If you’re going to be undertaking a placement year, you’ll want somewhere long-term, whereas if you’re doing a summer business internship you’ll probably only need somewhere for a few months. One of the best sites for searching for somewhere to live is SpareRoom, which advertises thousands of flat shares across London that suit every need. You can also use the site’s filters to narrow down your search even more, based on whether you want bills included or not, the area you want to live in and the duration of your stay. Another site that advertises plenty of rooms to rent across London is Gumtree, though the search system isn’t quite as detailed as SpareRoom’s, so you may spend quite a long time sifting through all the results. Remember to use your common sense when searching for somewhere to live, as you don’t want to get ripped off. Always check places out in person before agreeing to anything or handing over any cash, so that you can meet people that you’re going to be living with and ask important questions. The following sites have plenty of advice that you should read up on: Citizens Advice Bureau's “Common problems with renting”, Shelter 's“Health and safety standards for rented homes”, NIDirect's “Health and safety in rented accommodation” and Rightmove's “Renting property safely”. Many London universities also allow people to stay in their halls of residence during the summer months, when many university students have returned home for the summer holidays. If you’re looking for somewhere to rest your head for a few weeks or months which isn’t too expensive, is in a good location and is safe, then you should take a look at what university rooms are available. We’ve included links to some of the major London universities’ summer accommodation pages below, but this isn’t an exhaustive list, so if you can’t find anything here remember to have a little search elsewhere. How much is travel going to cost you in London? Travel costs, who cares about them? After all, what difference is an extra tube journey or bus ride going to make? And does it really matter if you live in zone four compared to zone three? Well, you'd be surprised. If you're not careful, the cost of travelling around London could soon sneak up on you and take a bite out of your bank balance. Now, the truth is that the sheer number of different transport types, routes, zones and cost variations make it hard to include all of the relevant information on this page. It can be confusing, even for people who live in the city. There's loads of information on Transport for London's site, so it's definitely a good idea to have a look at it. To put it simply, many people in London use Oyster cards to travel around with ease and speed. These cards have to be topped up with cash in order to be used (either using machines inside tube stations or online). Recently it's also become possible to use contactless bank cards as an Oyster alternative, as you can tap in and out of journeys using them. This acts as a payment, meaning the cost of the journey with be directly debited or credited to your bank account. The advantage of using an Oyster card is that you're in control of how much money you put on the card, while pay as you go usage also has a daily price cap. You can also buy weekly or monthly travel cards using Oyster, which you can't do with contactless cards. If you're going to be making a lot of journeys, this may well prove to be the cheapest and most cost-effective method. With Oyster, it's also possible to get student travel discounts – check out this page to see how. The advantage of using contactless cards for travel payments is that you don't have to remember to top up, so it can be a useful back up if you find yourself on Oxford Street at 3am with no money left on your Oyster card to catch the night bus. The downside is that the cost of journeys can stack up, even though there are supposed to be daily and weekly caps in place. If you're making a couple of journeys a day, to and from work, then you should be fine using your contactless bank card. However, if you're going to be making ten journeys a day, then you might as well get an Oyster travel card (with a student discount). How much you pay to travel around London also depends on the zone you live in. When looking for accommodation, make sure you have a tube map in front of you, so that you can see the breakdown of zones and where the tube lines run. Why are the tube zones important? Well, the further out you live (i.e. the greater the zone number), the more you have to pay to get into the city centre. For example, a monthly travel card for travelling between zones one and two currently costs £131, whereas a zone one to five monthly travel card costs £223.50. That's a difference of £92.50. Basically, what this means is that you need to do a bit of number crunching. A room in Zone 2 might cost you £650 per month, plus a monthly travel card which is £131, giving you a combined rent/travel cost of £781. A room in Zone 5 might cost you £500 per month, plus a monthly travel card at £223.50, giving you a combined rent/travel cost of £723.50. SO, you'd save £57.50 a month by renting in zone five, BUT you may spend a lot more time commuting. You have to compare combined rent / travel costs to get an idea of what's most cost-effective for you, while also thinking about how much time you're willing to spend travelling. Once you've got a good idea of how much you'll be earning every month and worked out your combined outgoings for rent and travel, you should be able to find out how much money you'll be left with. Using the examples above, if you earned £1,415 a month and paid £781 for rent and travel, you'd be left with £634. Not to mention things like new clothes, cosmetics and those sneaky extra costs that seem to come out of nowhere. Of course, a lot of this is in your control. While you can't really escape paying for food (we wouldn't recommend it), you can always use your phone less to avoid paying extra, not watch TV and not go on nights out. You might get very bored, but if you're up against it money wise then there's always a way out. Watch out for sneaky student loan payments! What, student loan repayments? But you haven't even graduated yet. That may be the case, but it's still something to be aware of. According to this report from The Telegraph in 2015, students undertaking well-paid internships may have student loan repayments deducted from their wages. While the payments are unlikely to be huge, they could still come as something of a surprise if you're not prepared for them. While you may not be able to do anything to stop this from happening at the time, it is at least something to be aware of. From time to time, we all make mistakes. However, one time when you definitely don't want to make any is when you're moving into a rental property, no matter how long it's for. That's why we've compiled this list of questions that you should always ask an estate agent or landlord before moving into a property (or at least have in mind when checking out a property, which you should always do). How long is the contract/rent period? When does the rent need to be paid? Is rent paid by each person, or by the house as a whole? Are bills included in the rent? If so, which ones? When will you get the deposit back? How much notice do I need to give before moving out? Will I get a signed copy of the contract? Are there working smoke alarms? When does rubbish get collected? What is the policy on pets/having friends over? Does the property have WiFi/Broadband? Always take pictures when you first move into a property, in order to have proof of what it was like as you started living there. If in doubt, or if you need any more information on renting in London (or anywhere else for that matter), then check out this guide from the government.